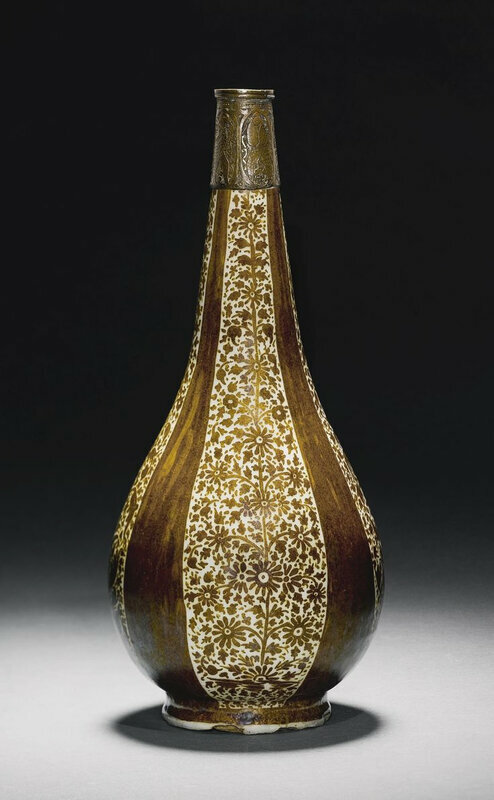 of shallow rounded form with a slightly everted rim and narrow footring, the earthenware body painted in golden lustre on a cream ground, with a standing figure in the centre holding a tambourine against a dotted background, a single-line Kufic inscription on his left-hand side and underneath the base, the reverse with large stylised peacock eyes. The present plate belongs to the group of ceramics termed by Ernst Grube « the First Abbasid Period » and noted by him as important instigators and precursors of the future popularity of the lustre technique (Grube 1976, pp.44-80). 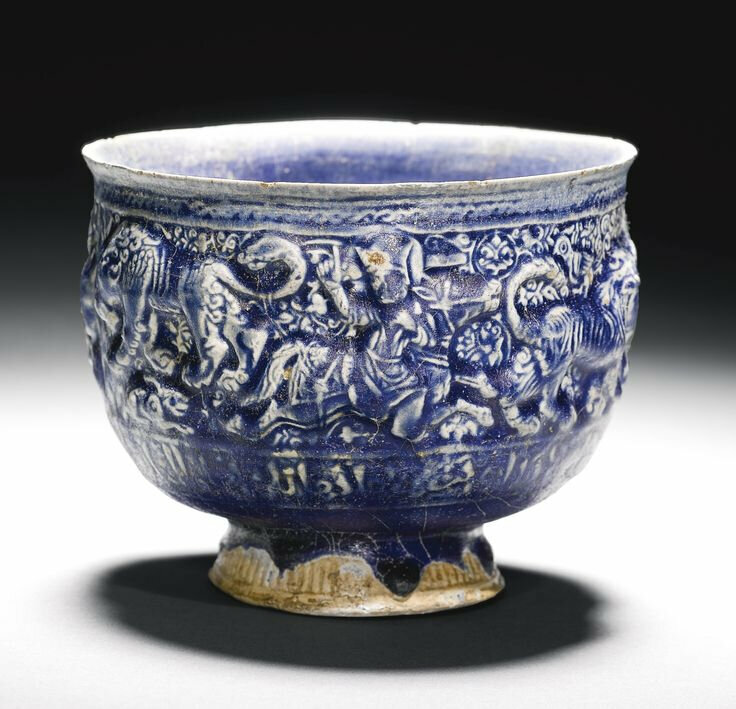 Grube also explores the style of the human figures as key iconographic characters of Abbasid lustreware. They are represented in a wide variety of poses: standing alone, holding an object, on horseback or together with another figure. 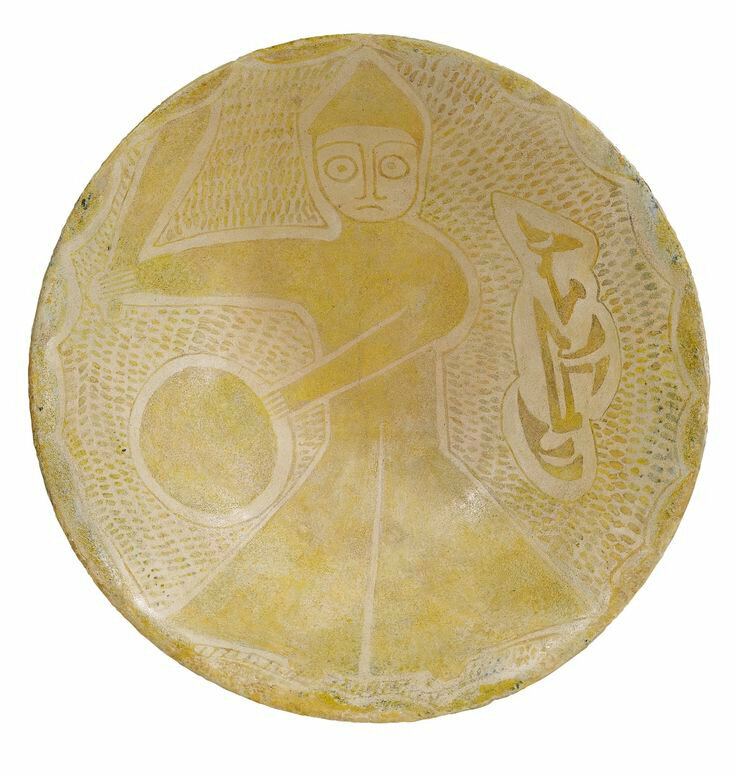 The musician on the present dish appears to be holding a tambourine and belongs to a fully-evolved repertoire depicting the recreational and pleasurable activities of the court.